Known by her patients as “Dr. Courtney,” she is a Board Certified Orthodontist who specializes in Braces and Invisalign®. She was born and raised outside of Chicago, Illinois. Being six feet tall, Dr. Courtney grew up playing basketball with her identical twin sister, earning herself several All-Conference athletic awards and college scholarships to continue on after high school. As a teenager, Dr. Courtney’s own positive experience with braces forged her future in dentistry. Dr. Courtney attended the University of Illinois for her undergraduate studies, where she was president of the Pre-Dental club and actively involved with the Boys and Girls Club of Chicago. Dr. Courtney was extremely driven and, as a result of her drive, she was accepted early into dental school in 2006. She subsequently attended Southern Illinois University School of Dental Medicine, where she received a Doctorate in Dental Medicine in 2010. Upon graduation, she completed a 1-year fellowship in orthodontics at the University of Florida where she focused on craniofacial abnormalities and interdisciplinary treatment. 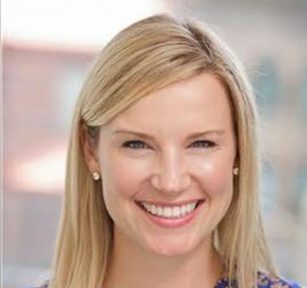 Dr. Courtney furthered her education by completing her 3-year orthodontic specialty training at Montefiore Medical Center/Albert Einstein College of Medicine in New York where she was nominated by her colleagues and inducted into the Leo M. Davidoff Society for her outstanding achievement and leadership in the teaching of fellow residents in 2014. An internal drive for perfection and genuine love of life really shows in the way Dr. Courtney treats her patients. Not only is she a Diplomate of the American Board of Orthodontics, but she treats smiles using multiple techniques, including invisible braces (Invisalign®) and braces that are customized to each and every patient (Insignia®). Each month, Dr. Courtney travels to Alabama to work with the world-renowned orthodontist, Dr. David Sarver, and is writing chapters for a textbook on orthodontics that will be used in dental and orthodontic schools throughout the world. Dr. Courtney is also the author of two published manuscripts – one article on bracket adhesive removal techniques and a metanalysis on xylitol, that special sugar that actually helps to fight cavities! Since 2011, Dr. Courtney has been living on the Upper West Side of Manhattan and has fallen in love with the energy of the city. Outside the office, she enjoys spending time with her friends and family, working out, and trying new restaurants throughout New York City.